JB Plumbing Heating & Bathrooms Ltd - Bathrooms, Plumber based in Sandhurst, Berkshire. 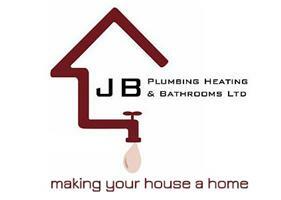 JB Plumbing Heating & Bathrooms Ltd is a family run business based in Sandhurst. We are fully qualified and insured to carry out our work. We pride ourselves on ensuring all of our clients receive high standards of workmanship, professionalism and reliability and offer a 24/7 call out service. For an efficient, cost effective and most importantly, friendly service, contact us now and make your house, a home. We offer everything your house needs to make it a home, Below are the services we can provide and if there is something you need doing that isn't listed, contact us and we will definitely be able to help! All of our tradesmen are time served, apprenticed professionals who not only are very respected within their own chosen profession but are skilled in being respectful and friendly whilst working in your home.